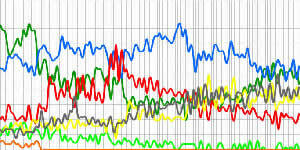 Please think about making a donation towards the running costs of ElectionsIreland.org. The site offers an 'always online' service (not just at election times), but the hosting and bandwidth to support this have to be paid for. All contributions large and small are appreciated. Many thanks to those who have supported us already. Seán Donnelly's complete guide to Dáil, Seanad and Presidential elections in Ireland in 2011 was published in January 2012 in association with ElectionsIreland.org. It is available for order now at a special introductory price of €31.50 (+p&p) - 30% off the list price. 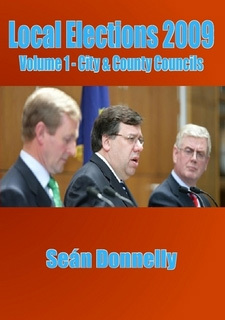 Seán Donnelly's complete guide to County and City elections in Ireland in 2009 has been published in association with ElectionsIreland.org. It is available for order now at a special introductory price of €25 (+p&p) - 50% off the list price. 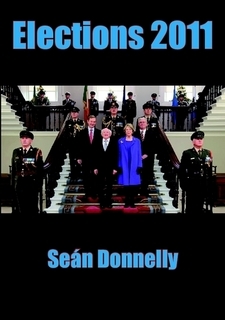 Seán Donnelly's complete guide to Dáil and Seanad elections in 2007 has just been published in association with ElectionsIreland.org. It is available for order now at a special introductory price of €22.50 (+p&p) - 50% off the list price. Seán Donnelly's complete guide to local elections in Ireland in 2014 has been published in association with ElectionsIreland.org. It is available for order now at an introductory offer of 50% off the list price. 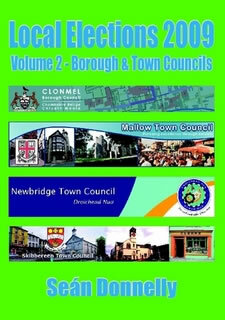 Seán Donnelly's complete guide to Borough and Town elections in Ireland in 2009 has been published in association with ElectionsIreland.org. It is available for order now at a special introductory price of €20 (+p&p) - 40% off the list price. Seán Donnelly's complete guide to County and City elections in Ireland in 2004 has been published in association with ElectionsIreland.org. It is available for order now at a special introductory price of €25 (+p&p) - 50% off the list price. If you have found this web site useful, please consider making a small donation to help support the running costs of ElectionIreland.org. Just €10 or £10 will help to develop the site further. Just click on the button to the left to make a donation by credit card (or from your existing PayPal account) easily and securely - thank you. This web site has been produced in association with Seán Donnelly. 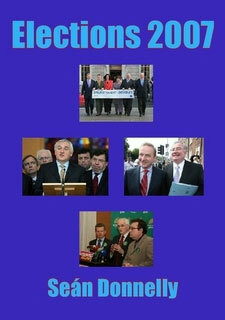 See details of Seán's books on Irish elections since the 1991 local elections.